The Fellowship was fortunate enough to obtain a copy of GREEN HORNET #24 from Dynamite Entertainment. Ande Parks writes, Igor Vitorino draws, Marcio Freire colors, and Marshall Dillon letters. Somebody wants the Green Hornet dead. And someone else is wearing his costume and killing people. A lot of blood is being spilled, and there’s not much the real Hornet can do about it. But this fight is just getting started. This issue is really more drama than action, though as part of a six-issue arc I really think that’s a good thing. There’s plenty of time for action later, but right now let’s do some character work. Which is done quite well; there’s a lot of it packed in here, and it’s not just Britt and Mulan either. The art is very expressive, also, which helps contribute to the feel of the issue. This book is quickly becoming a well-told story. It’s dark and brooding, with a lot more drama than comedy, but I don’t see that as a bad thing. I like where this is going. 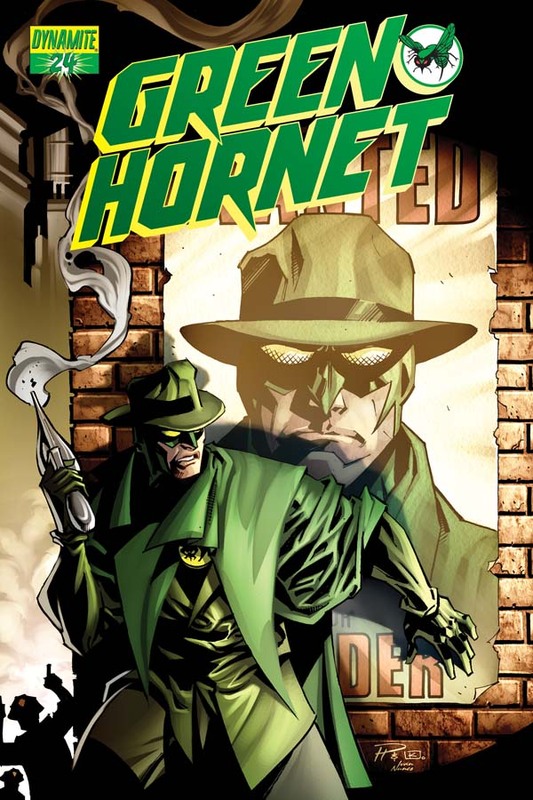 GREEN HORNET #24 is available now at your FLCS or by order from dynamite.net.